My comment upon discovering this video on YouTube: I saw them at a Pop Festival in Rotterdam, summer of 1970. I had their LPs but nothing captured that live performance. I still vividly remember Jerry Goodman standing at the front of the stage, his long hair flying in the wind, hypnotizing the crowd with his violin. Great to see a live video! 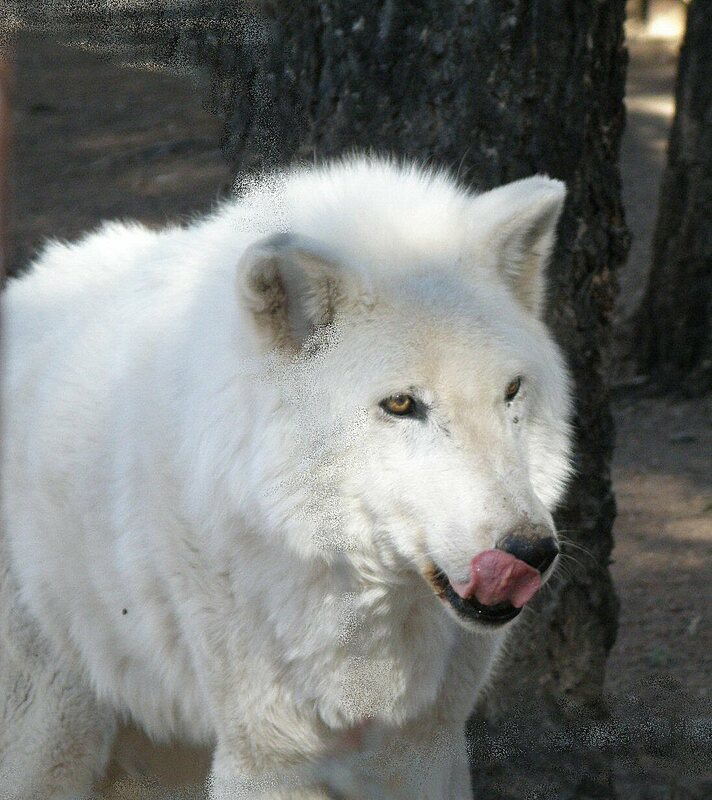 Educate the public through tours and programs about the importance of Wolves, Coyotes, and Foxes to our eco-system. Educate the public about the importance of Preservation and Conservation of the forests, land, and water that supports wildlife, flora, and fauna for future generations to enjoy. Provide natural habitats and exceptional lives for the animals entrusted to our care since they cannot live in the wild. Inhabitants at the Center include foxes, coyotes, and wolves, each and all of which have been rescued from one or another type of captivity, some brutal. At the Center the animals are confined, but still are able to run free within large fenced areas, each an acre or more on the floor of a mixed conifer forest. They’re fed appropriately to suit their natural diet. Local road kill (in winter) is routinely delivered to the Center. If it’s not sufficient, flesh, bones, hides, and intestinal tract contents from any available source are either purchased or donated, and serve to maintain a healthy critter population. 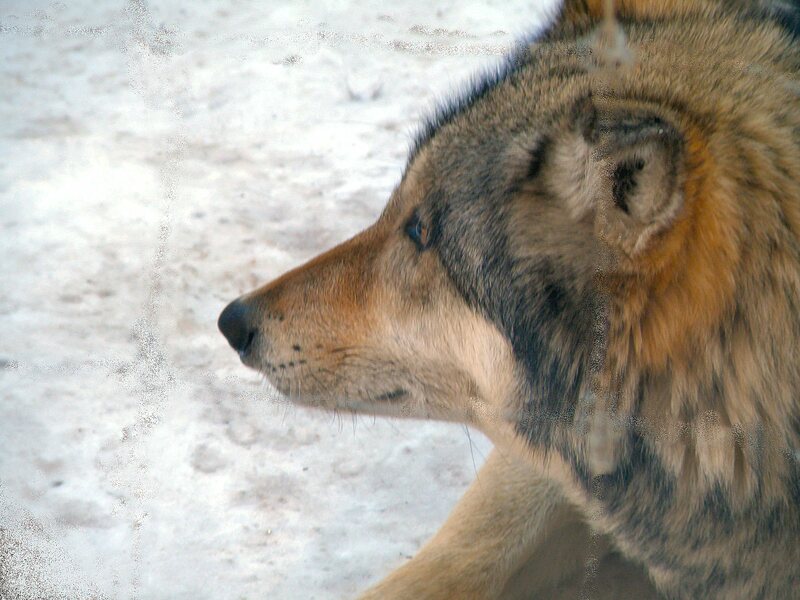 The personnel at the Center work diligently to educate people about wolves and other wild canine predators. There are typically at least five (2 hour) guided tours per day, led mostly by volunteers who are both knowledgeable and passionate about the work they do; they speak with authority, are able to accurately answer questions, and clearly enjoy immensely their work, their contribution to both education (of people) AND to the well-being of the Center’s on-site critter population. School visits by youngsters are also quite common, and numerous handwritten responses by the children to questions concerning what they learned are on proud display, and are fascinating to read, to explore. Following are a handful of snapshots that I was lucky enough to capture. Each of the critters is a wolf — Canis lupus (the foxes and coyotes weren’t at all patient with me when I asked them to pose). At least two are subspecies arctos, or Arctic (tundra, white) wolves; the others are the somewhat more common and wide-spread Gray (timber) wolves. Note their faces, how fierce, contorted, savage and hateful they clearly are (trying to sound stupid here; it ain’t always easy). Scary scary, right? “Cuz them wolves is KILLERS!” (Words spoken by an unidentified New Mexico Wingnut when the Mexican Gray was about to be reintroduced in the Southwest some 15-20 years ago). Actually, as our guide at the Center pointed out, there have been only two recorded wolf “attacks” on humans in North America in the last 100 YEARS, and both are suspect, may never have happened at all. But in this world, no matter, because FEAR rules. By demand. What an amazingly non-salient (read: stupid) argument, one reiterated in late August of 2012, in Montana, when a reality TV show broadcast an episode on the killing of a wolf in Montana. “It’s the funnest thing I’ve done in years,” the gleeful host [crowed] after shooting the wolf with a high-powered rifle. “The funnest thing” pretty much describes the mentality implicit in those who . . . never mind. 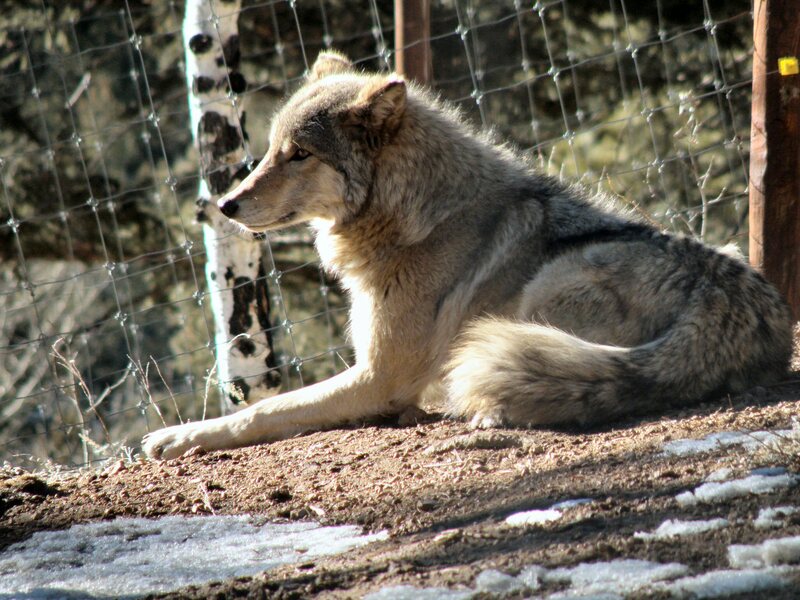 And so it is with each and all of The People at the Colorado Wolf and Wildlife Center. They, too, take that “wider view of animals,” and do all they can do to advance the cause. For that, and for everything else they do and have done, I applaud them. 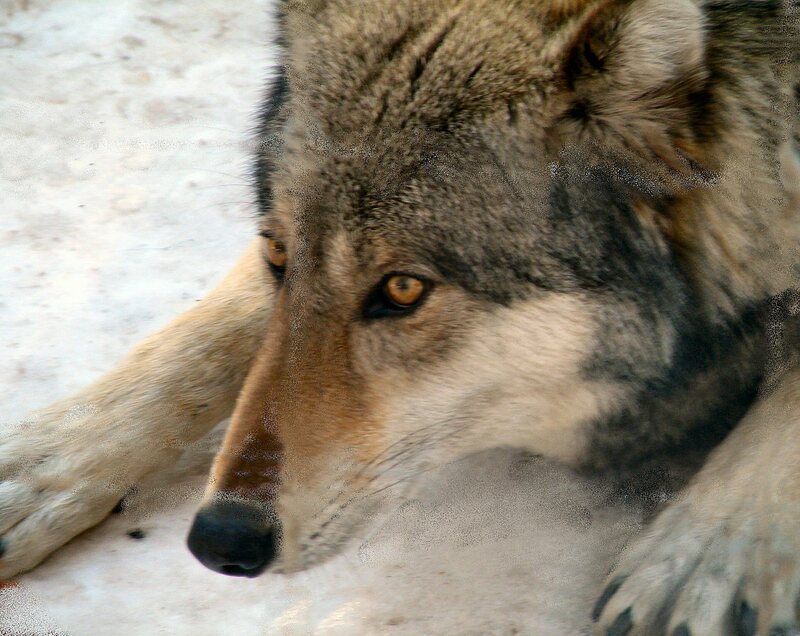 Faced with a looming court deadline to defend its actions against a suit by the Center for Biological Diversity and our allies, Idaho’s Department of Fish and Game on Monday halted its wolf-extermination program in the Frank Church-River of No Return Wilderness. 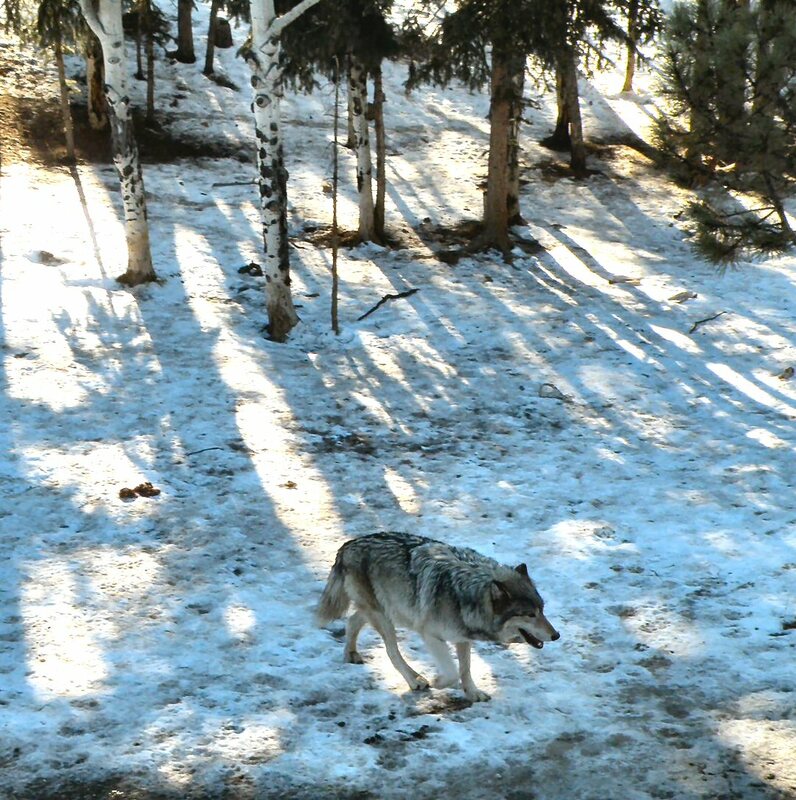 Nine wolves had already fallen to a hired hunter-trapper who began killing wolves in December; it’s unknown how many animals remain alive in the two targeted packs. We’ve sued the department — and the U.S. Forest Service, which was assisting it — arguing that the wolf-killing program prioritized elk numbers for human hunters over wilderness values. After a federal judge rejected our request to stop the program on Jan. 17, we took our fight to the court of appeals, filing an emergency request for an injunction Jan. 23. I expect the ‘stop’ is temporary; there has never been a sustainable letup in the “human” urge to exterminate wolves. 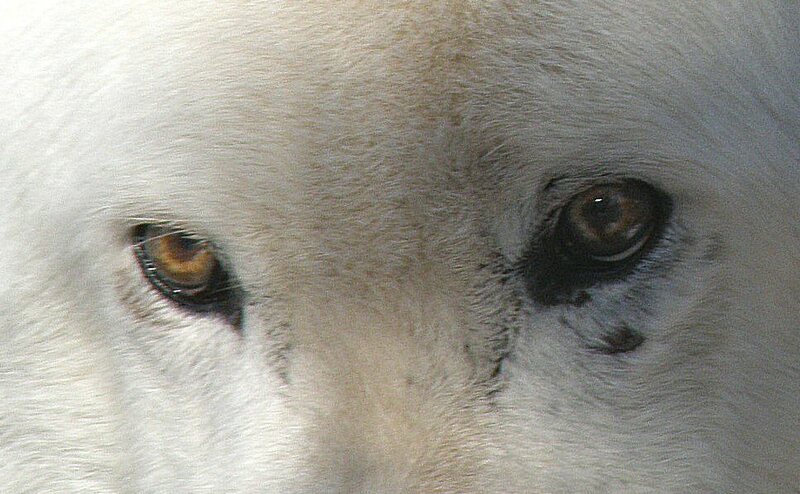 Still, every respite is at least useful, and maybe one day the principles implicit in those expressed and applied by the Colorado Wolf and Wildlife Center will prevail. In memory of the millions. Sixty-nine years ago, in the last week of January 1945, Russian armies stormed across southern Poland. The occupying Nazis, aware of the approaching Russians, had already retreated with all due haste back to Germany. Thus, when the Russians arrived at the Polish town of Oswiecim (January 27 1945), the adjacent Nazi death camps Auschwitz-Birkenau were completely unguarded. The remaining prisoners — some 6900 — were freed, their lives spared. No definitive records have ever been located, so a precise final tally of the total number of deaths at Auschwitz-Birkenau is impossible, although the estimate of 1.5 million is considered to be a fairly accurate number. “My Fellow Americans, members of Congress, and everybody else: I come to you tonight a changed man in a changed world. I am not the same man I was when you elected me in 2008, and the world is not the same either. “As I reflected on my time in office, I had to recognize that, in many ways, some things are the same. We’re still at war. In fact, I’ve expanded powers of this office to order drone strikes anywhere I want. All I have to do is say the targeted people have something to do with terrorism and ‘Bam!’ they’re gone! “On the home front, I’ve enacted the most draconian cuts to social programs ever, thanks to the ongoing sequester. “Meanwhile the rich are getting richer, and corporations are getting away with everything. The floor of the chamber was silent and 43 members of the House s—- themselves. Watering Hole: Tuesday January 28, 2014 Open Thread – Longevity and the influences of culture, social networks and reclaiming personal fulfillment. In my last job I was tasked with developing a wellness culture at a continuing care retirement community. The impetus actually came from my interview when I blindly asked if the organization was familiar with the work of Dan Buettner who orchestrated a vitality project in Albert Lea, Minnesota based up his work interpreting the longevity studies of the National Geographic Society. Geographers dubbed identified five longevity pockets around the world as ‘Blue Zones’, where places had centenarians at rates ten to thirty times the average US city. Interestingly, with the exception of one, these places had average monthly incomes of $500 to $800 USD. That lone exception was Loma Linda California. The other places identified were: Ikaria, Greece; Nicoya, Costa Rica ; Okinawa, Japan ; and Sardinia, Italy . These five distinct cultures had commonalities that could be applied to longevity throughout the world. The top four are: Eat Wisely, Move (exert) Naturally (daily), Possess a daily Sense of Purpose, and Connect with your Community. Buettner eventually published a book, Blue Zones: Lessons for Living Longer from the People Who’ve Lived the Longest. You can even guestimate your own longevity from his Vitality Compass on the Bluezones web site. And believe it or not, he is one of the few wellness gurus who is not trying to sell you something. All of these were tied to culture in some way. The foods available to these folks were primarily beans, fresh vegetables, and fresh fruits. Meat was a rarity in most of these societies often used as a condiment as opposed to a primary protein source. Loma Linda made the list because of the predominance of Seventh Day Adventists (most of whom are exclusively vegetarian). Natural movement involves primarily employment, where folks in Sardinia were often shepherds, walking five or more miles a day to tend the flock. All the societies engaged in gardening or small plot farming. Dancing, swimming, and other physical rituals accounted for the ‘move naturally daily’ regimen. Outside of Loma Linda, there was no word for ‘retirement’ in these cultures. That meant occupation was a life-long experience, and hence a purpose on hand regardless of age. Connecting with community involved friend networks, checking up on others, and participating in religious or community activities. Applying these concepts to our own lives here in the US has interesting complications. We are a society inundated with food choices (mostly bad), occupation is often viewed a necessary and not a choice of fulfillment or purpose, are overworked at desk jobs with little time or inclination for exercise, and live in a sprawling set of suburbs outside of large cities where neighbors hardly speak to each other. You actually have to make very conscious decisions to apply these longevity principals to your own life. Most people scantly give any of this any thought, hence the famous quote about most people living lives of quiet desperation. A Federal District Court judge for the district of North by Northwest passage, Hoboken, New Jersey, ordered the Republican Party be removed from life support no later than 5:00 p.m. January 28, 2014. An RNC spokesperson, who asked to remain anonymous, stated the Party intends to appeal the District Court’s decision and hopes to have a stay in place in time for the Party to make an official response to Obama’s State of the Union Address. The response is reported to rely heavily on rumors that Obama was born in Kenya, and that Benghazi was an intentional plot to side with the terrorists against U.S. interests in protecting Israel and the Afghanistan pipeline.